The Corporate Video Guide is a master class designed for corporate filmmakers. The guide consists of 5 sections with over 5 hours of training. Learn how to put together a solid pre-production system that puts your clients at ease and let’s them know you have their back. Doing so will translate to sales for your clients and therefore sales for you. Learn how to put together budgets, figure out rates and bill effectively so that your production company can grow and thrive. Corbyn Tyson is the director and founder of the production company Frank & Harvey. 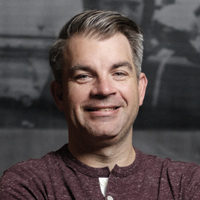 He has produced work for many big brands including Bentley Motor Company, Sargento, Kinhr and many more. You can see Corbyn's work on the Frank & Harvey website. 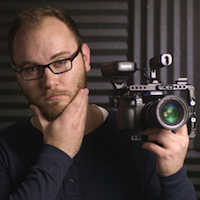 Caleb Pike is a camera operator, editor, and founder of DSLR Video Shooter. His experience branches from documentary and commercial, to film and educational material. Three words. BUY THIS COURSE! Sooooo much good information for beginners and probably even for those who are already established in the world of video production. You can't find anything else on the internet which will guide you to run a better business in the "industry". I am just starting out as a one man band and this guide helped me to give my "company" a solid structure for making my company successful. Preproduction, gear, how to communicate with clients and so forth, its there. Definitely worth the investment. I am really enjoying this video course because every section is packed with useful information. It is great to see that these two guys are so willing to share everything they know and not hold back. If you are wanting to start doing or do more corporate videos, this is a course you would want to watch. They answer so many questions I had and I am pretty sure I will refer back to these in the future.